Dr. Paul White, founder and CEO of White Orthodontics, Richmond’s award-winning, premiere orthodontic practice, announces Dollars for Scholars – an innovative new program that allows area schools to receive much-needed funds through patient participation. 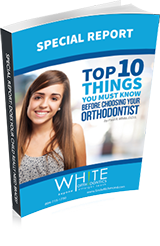 In this program, schools will receive a charitable donation for every student who becomes a new White Orthodontics’ patient. For younger patients who require Early or Interceptive orthodontics, a $25 donation will be made to their school. For teenagers, a $50 donation will be made to their school once they start their braces or Invisalign. “A strong and vibrant school system benefits the entire community” said Dr. Paul White. Participation in Dollars for Scholars is easy. 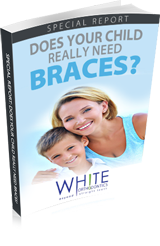 Simply mention this program at your initial consultation appointment, let us know the name of your child’s school, and when they begin treatment with the experts at White Orthodontics a donation will be made to your child’s school’s Parent Teachers Association (PTA). Additionally, you may print out the form below and bring it in, completed, for your appointment. For questions and additional information, please contact us at DollarsforScholars@SmileRichmond.com.